The film had garnered mixed reviews by critics despite being named the highest earning music biopic of all time. 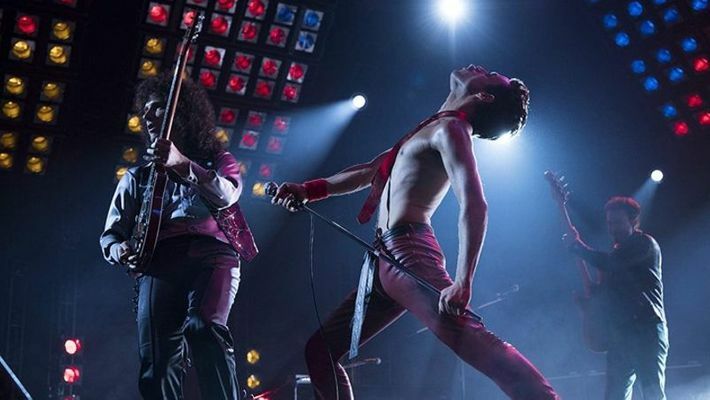 Queen biopic Bohemian Rhapsody was the surprise winner in the Best Motion Picture Drama category at the Golden Globes, besting front-runners A Star Is Born, Black Panther, If Beale Street Could Talk and "BlacKkKlansman". The film's lead star Rami Malek, who has been widely hailed for his career-best turn as Freddie Mercury, won the award for Best Performance by an Actor in a Motion Picture, Drama over Bradley Cooper, Willem Defoe, Lucas Hedges and John David Washington. Malek thanked "the beautiful man", the late Queen frontman, for the award. "Thank you to Freddie Mercury for giving me the joy of a lifetime. I love you, you beautiful man. This is for and because of you, gorgeous," he said. Malek also thanked Queen founding members Roger Taylor and Brian May, who were in the audience, for "ensuring that authenticity and inclusivity exist in the music and in the world and in all of us". The film, that went through a lot of trouble before its release, is finally having its moment in the sun. Initially, Sacha Baron Cohen was attached to play Mercury but he dropped out due to "creative differences" with the surviving band members. Director Bryan Singer was fired before he could complete the film due to repeated absences and was replaced by Dexter Fletcher though he retains the credit. Producer Graham King accepted the award on behalf of the cast and crew, and noticeably omitted Singer's name from his speech. Singer, whose name has cropped up in #MeToo movement, was missing from the ceremony. "That was unexpected. Thank you so much to the Hollywood Foreign Press Association. That's amazing," King said. "The power of movies is that it brings us all together. Freddie Mercury and Queen did that so successfully through their music and that's what we always want to accomplish in the cinemas. To see that magic come alive and to see the incredible response to this film has been truly humbling for everyone. I want to thank everyone," he added. He also hailed Malek for his "unbelievable" performance as Mercury.